No matter how hectic, though, B-Real still has time for Instagram. 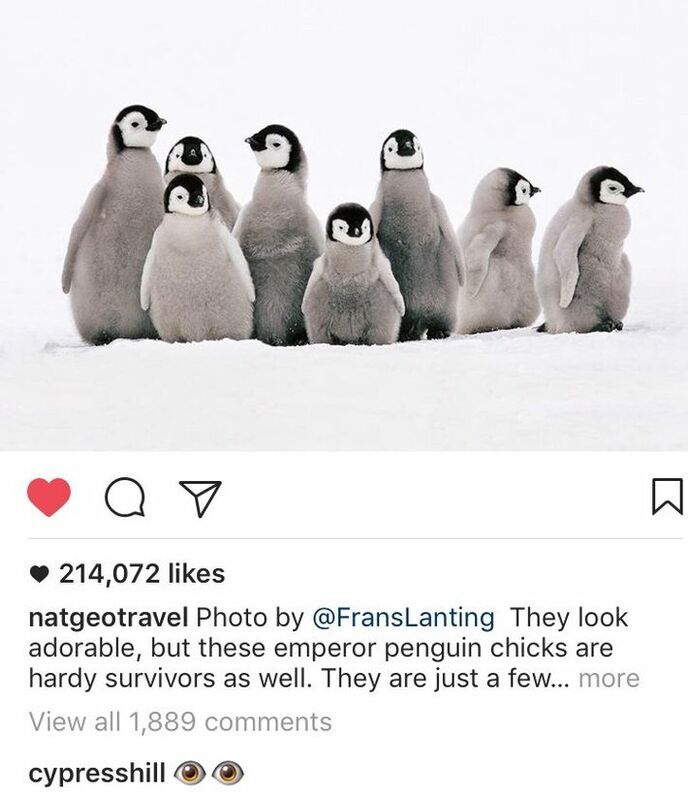 As others have noted, Cypress Hill loves to comment on posts by National Geographic, among others. That’s right: That’s not software, nor a bot, nor a publicist commenting for the group. That is actually B-Real, sitting there stoned, carefully picking out which emoji to use. And why not? 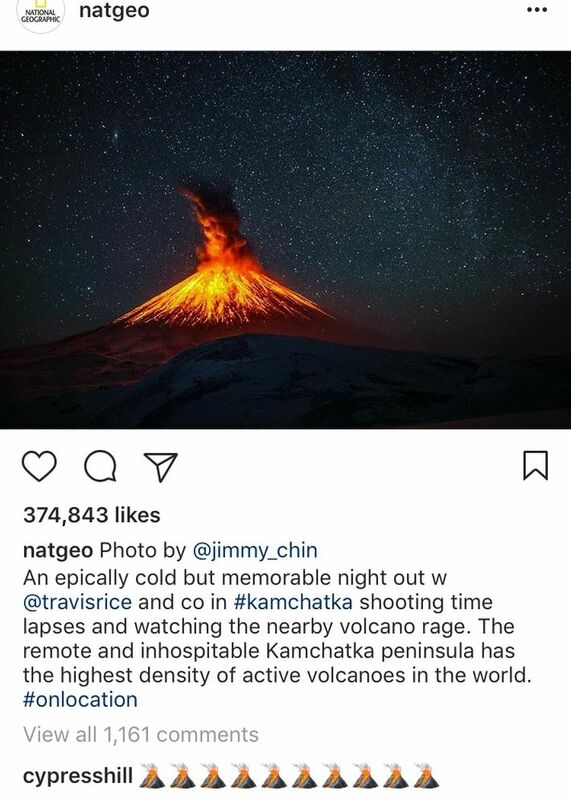 When you’re one of the most famous stoners in the United States, why wouldn’t you be Instagram-deep-diving into @natgeo or @usinterior? Select All spoke to B-Real about the group’s IG usage and why he can’t get enough of NatGeo. 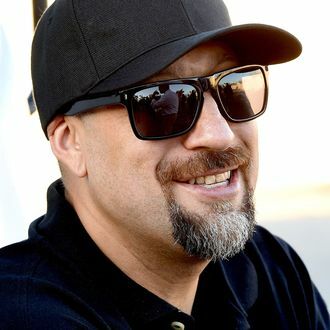 Are you manning both Cypress Hill’s and your personal account? Yea, I started my personal account first and then Cypress Hill came later. We were late to the game on the band account, but I’ve been manning both for years. It takes a lot of time but I’m happy to do it. How much time do you spend on Instagram a day? It’s time consuming for sure, but I almost have it worked out on an alarm clock now. It’s like every few hours that clock goes off in my head and I’m back on Instagram. I like to keep the momentum going and posting helps to remember a great time. Has your engagement grown a lot since you started commenting and engaging with fans? Definitely, we found ways to get great engagement and the account just keeps growing. It’s been astonishing. It started growing by the tens of thousands every month. Once we got into a rhythm with posts, we started seeing increases in engagement like never before. What kind of rhythm? How often do you post? If I get the time, I’ll do between three and four posts a day. I try not to do more than that. I don’t want to oversaturate, you know? We don’t want to annoy people! When someone is just doing post after post, I’ll unfollow them, even if they’re our friend! 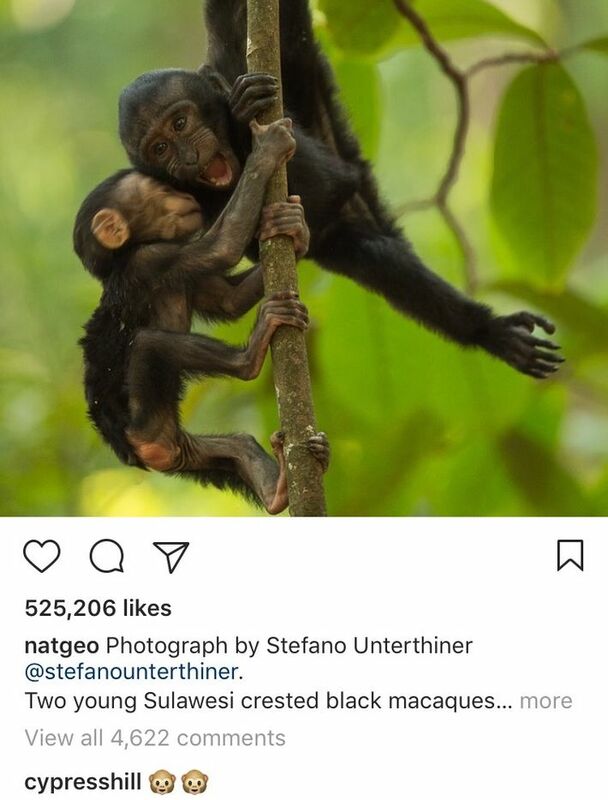 What’s with all the NatGeo commenting? There’s some major emoji use going on there. 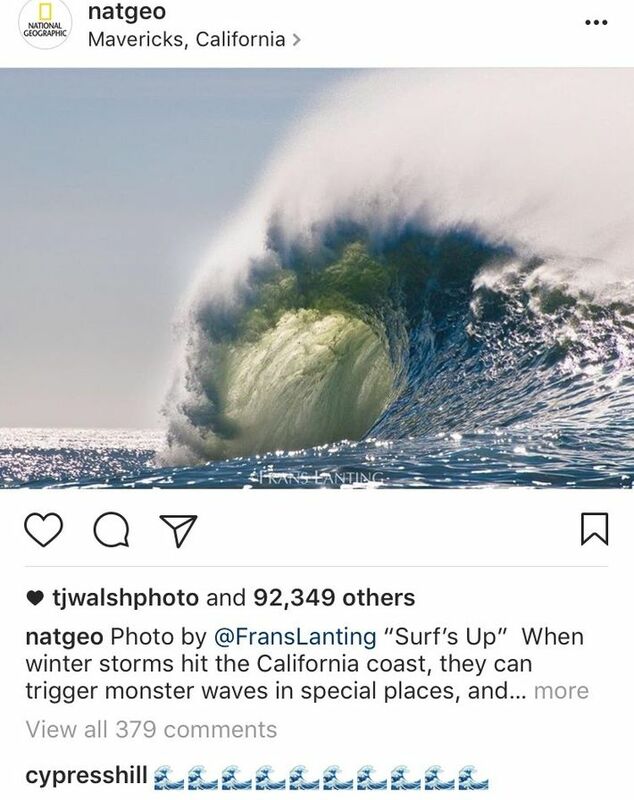 NatGeo always has great photographs and photographers. There’s always something interesting to look at. 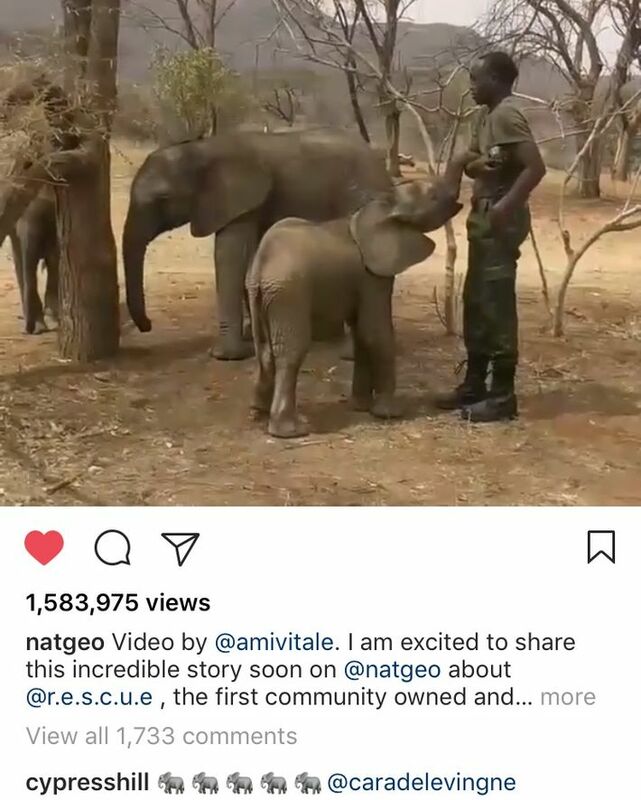 In the beginning, it was just regular likes and maybe a comment with one emoji, but eventually I started trying to match the emoji to the post. 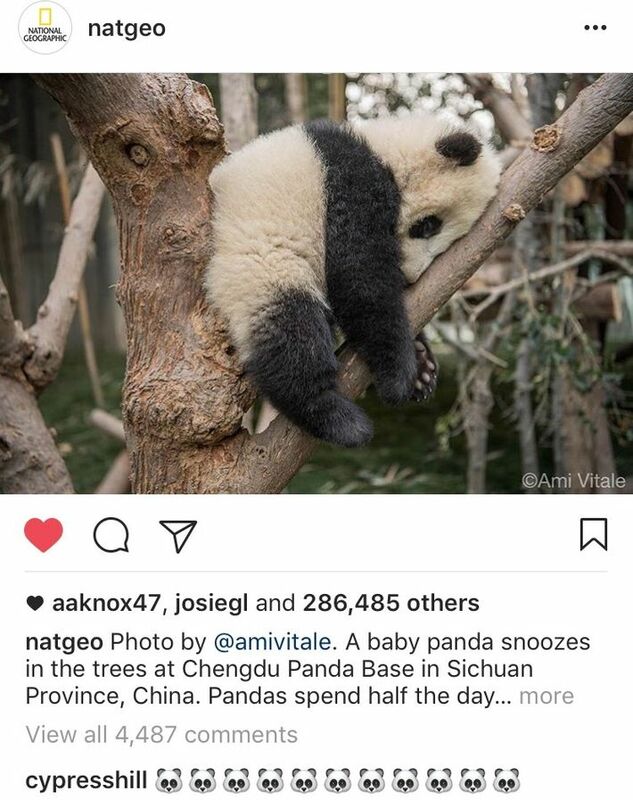 So if it was a panda picture, I’ll put that emoji and so on. I try to make it fun and creative, get people talking and engaging. If a post is fire, we’ll put a flame. I’ve seen you comment on NASA’s account, Jennifer Lopez’s, and Rihanna’s. Are there any other profiles you like to follow and comment on? There are new fans and younger generations, too, like Kendall Jenner, who was just photographed wearing a Cypress Hill shirt, and Miley Cyrus, and a lot of accounts in the cannabis space, of course, like High Times, Berner415, and Wiz Khalifa. These people are our friends as well, and engaging is just one way of showing support for each other. It just keeps everything moving.